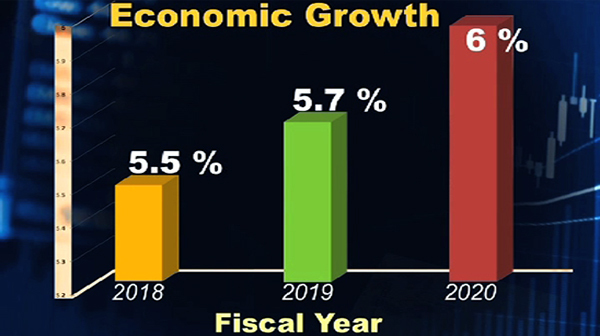 Bhutanese economy is expected to grow moderately this year as well as the following year according to the Asian Development Bank (ADB) report, which was released yesterday. The growth forecasts are at 5.7 per cent this year and 6 per cent in 2020. This is due to the expected completion of the Mangdechhu hydropower plant, strengthening of private spending and increased government spending to implement the 12th Five-Year Plan. “We see that there could be a risk of this moderate growth trend. If Mangdechhu hydropower commissioning be further delayed plus there could be a risk also if the production capacity is lower than expected,” Kanokpan Lao-Araya, the ADB’s Country Director for Bhutan, said. 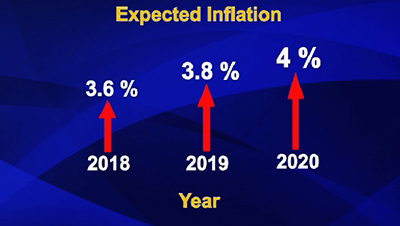 Inflation is expected to rise moderately from 3.6 per cent in 2018 to 4 per cent next year. Although lower international oil price forecasts will help keep inflation at bay, the report states, the planned revisions to civil service salaries and minimum wage might push up inflation. “There could be moderate inflation. We are aware of this anticipated pay rise although we haven’t really incorporated into our model yet. We are waiting to see the final decision and extent of pay rise before we can put the actual number in the model. It should lead to the forecast of greater inflation in the medium term,” Kanokpan Lao-Araya said. The country’s current account deficit or the difference between import and export of goods and services will continue to narrow. The trend is attributed to declining imports with the slowing of hydropower construction and a six-month break in capital expenditure as the country transitioned to a new government. It is expected to shrink further with the high export revenue from Mangdechhu Hydro Project Authority. Meanwhile, strengthening domestic resources towards better funding of development remains a challenge. To this, the report recommends a reduction of fiscal incentives, particularly tax reforms to raise government revenues, and discourage unrestricted investors while not deterring those who see solid business opportunities in the country.